Since 2017, Medical Associates of Cambridge, Inc. has been participating in Comprehensive Primary Care Plus (CPC+), a novel primary care system that strives to achieve better care, smarter spending, and healthier patients. 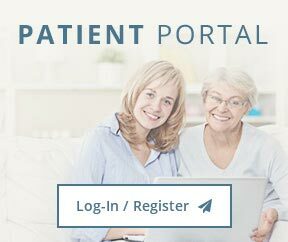 This means that our team provides longer and more flexible hours, coordinates care with patients’ other health care providers, better engages patients and caregivers in managing their own care, and provides individualized, enhanced care for patients living with multiple chronic diseases and higher needs. 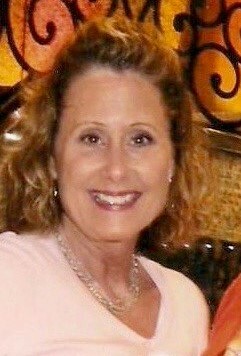 Medical Associates is very excited to welcome Nancy Neff as a full time member of our Care Team. Nancy Neff, LSW, CCM, is a certified Licensed Social Worker from the Ohio Counselor, Social Worker & Marriage and Family Therapist Board, and a Certified Case Manager from the Case Management Society of America, and the Commission for Case Manager Certification. She was born in Cambridge and is a graduate of Cambridge High School. She earned her Bachelor of Arts Degree in Social Work at Ohio University in Athens. With over thirty-five years in health care, the majority of her experience was obtained at Southeastern Med. She is proficient in performing psychosocial assessments, transitional planning, case management functions, and has served as a consultant to medical staff in the acute care setting. She has specialized knowledge working with high risk populations and other complex family dynamics. In 2014 she was nominated for Healthcare Worker of the Year for Southeastern Med. and was thereby later awarded the Albert E. Dyckes - Healthcare Worker of the Year 2014 Finalist, as one of the top five healthcare workers in the State of Ohio, by the Ohio Hospital Association. helping those with behavioral health issues including addiction to navigate to the care that they need. Please help us welcome Nancy to the team! We are excited to welcome Renee Schwieterman to our team. Renee Schwieterman, PA-C is an NCCPA board certified Physician Assistant. She was born in Cambridge and attended Shenandoah High School. She earned her Bachelor’s of Science in Biology at Walsh University in North Canton, Ohio. Upon graduation she attended Marietta College obtaining her Masters of Science in Physician Assistant Studies. Renee completed a majority of her clinical training in Cambridge including Family Medicine at Medical Associates, General Surgery, Internal Medicine, Emergency Medicine, Obstetrics, and Gynecology. She also trained in Cardiology, Pediatrics, Surgical Oncology, Psychology, and Orthopedics. She is grateful for the opportunity to join Medical Associates in helping provide healthcare to her hometown. Renee adds our care team by seeing adult and pediatric patients with urgent issues in our walk-in clinic and she also assists to manage chronic medical conditions such as hypertension, diabetes, heart disease and COPD. She also conducts Annual Wellness Visits and Well Child Checks. To establish primary care with us, please email callcenter@medicalassocitescare.com, call us at 740-439-3515, or visit our website http://www.medicalassociatescare.com.